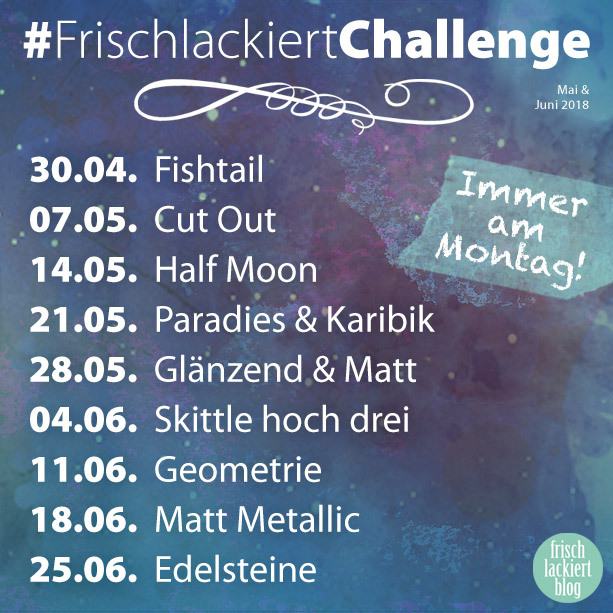 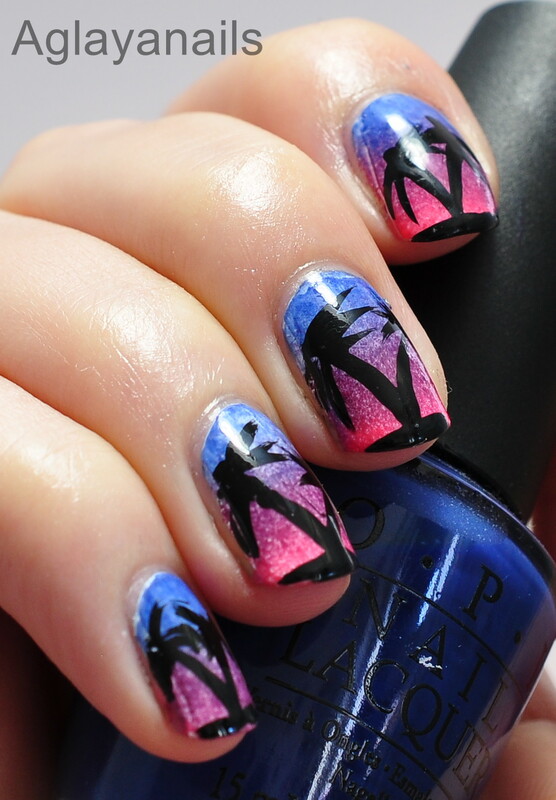 The Frisch Lackiert Challenge wants to see the summer feeling with the prompt paradise and Carribean. 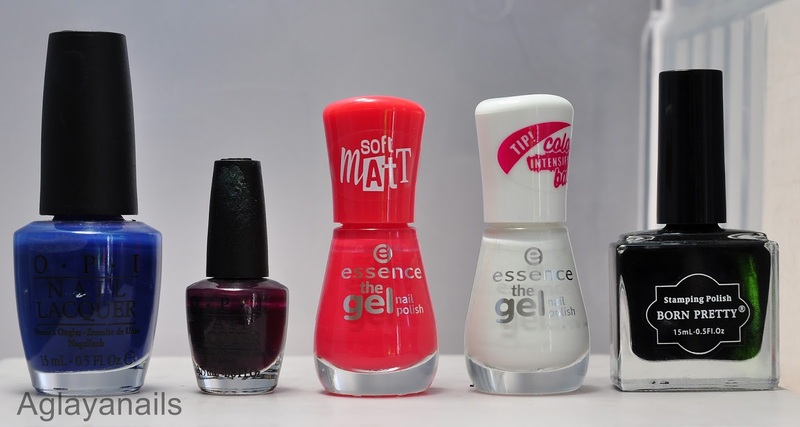 My base is a sunset gradient over a white base (two coats of Essence Wild White Ways), using Essence Va-Va-Voom, OPI Honk If You Love OPI (Touring America Collection) and Dating A Royal. 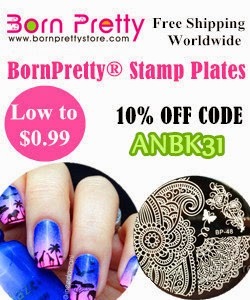 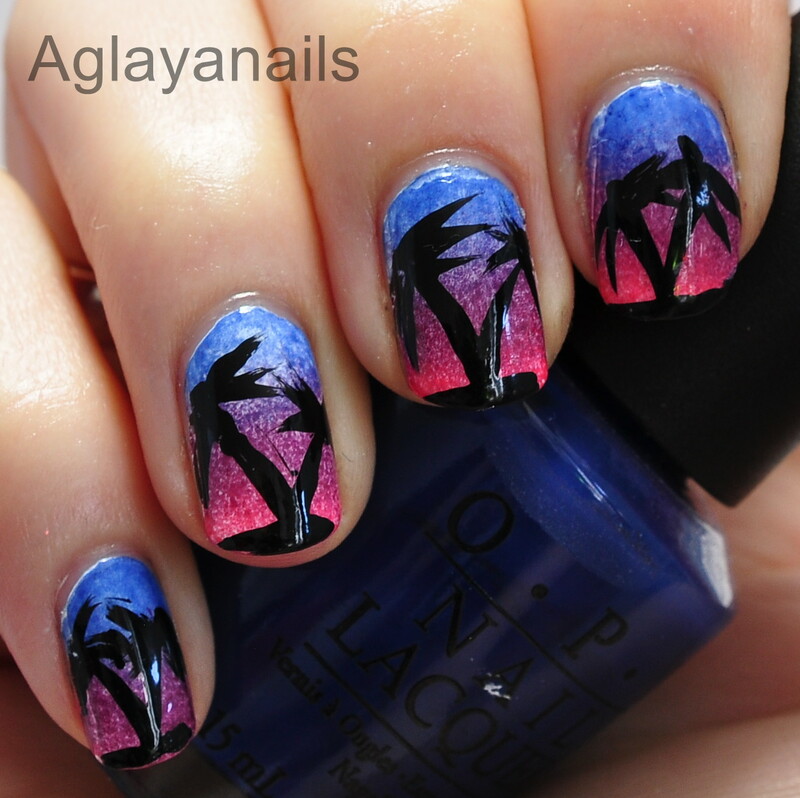 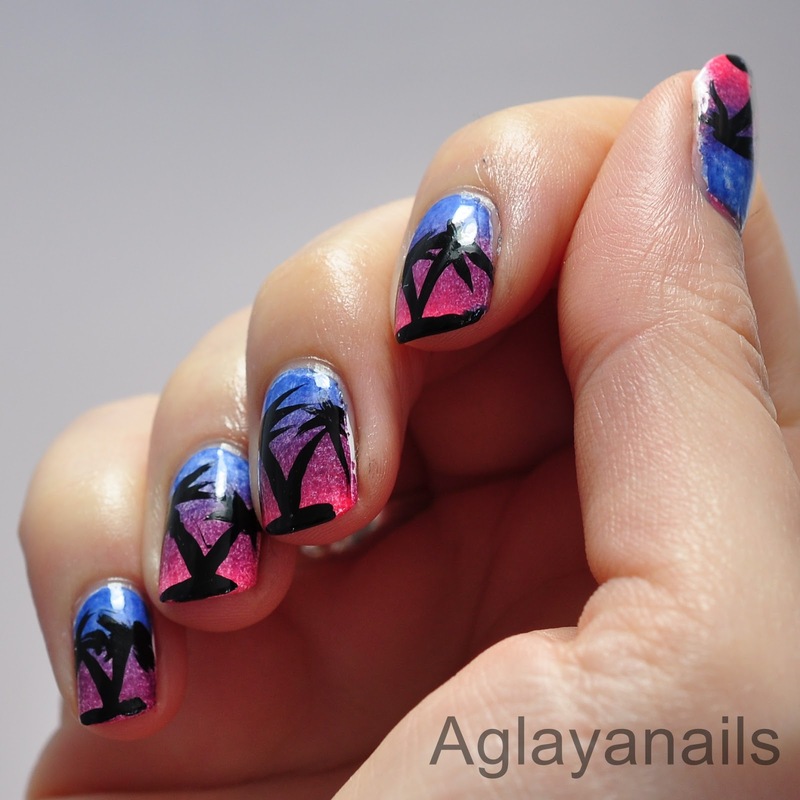 The palm trees I painted by hand with Born Pretty Store black stamping polish. As usual, I added one coat of KBShimmer Clearly On Top.